Welcome to Dryclean Dave – the premier site for drycleaning-related information on the web! Sit back and take some time to read through the various sections we’ve made available. Many of your questions will be answered somewhere on this site; however, if you have a particular issue that has not been addressed, just click-here and Ask Dryclean Dave! 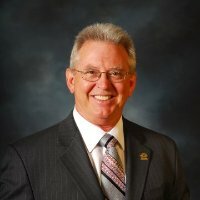 DLI Commitment to Professionalism Award Winner || Past-President of Drycleaning & Laundry Institute || Past-President of Western States Drycleaners & Launderers Assoc.